A bill approved by New York City Council would ban employers from requiring employees to undergo a drug test as part of the hiring process. The bill was passed on Tuesday in a 41-4 vote as part of larger city initiative of trying to reduce the legal repercussions associated with using marijuana. 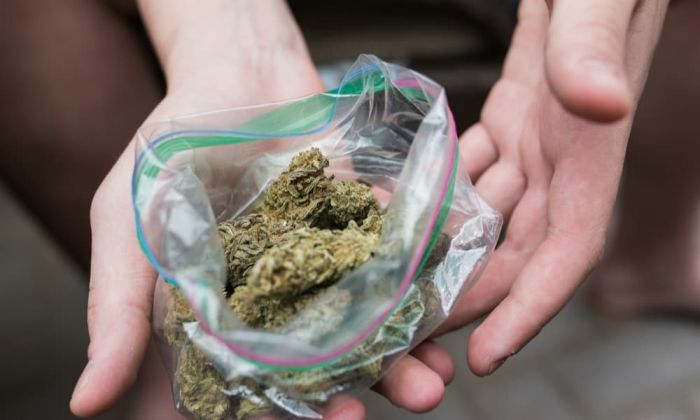 Police in the city and in surrounding jurisdictions have cut down significantly on marijuana-related arrests and council also recently passed a resolution asking the state to legalize recreational cannabis. Proposed in February by Public Safety Committee chair Donovan Richards, the bill to “ban the Department of Probation from conducting drug tests for marijuana” has moved rapidly through the legislative process. Richards hopes the bill will stop what he feels amounts to setting parolees up to fail. Currently in New York, nine parolees are sent back to jail for reasons like cannabis for every 10 that complete their parole, and he believes that needs to change. After hitting a major roadblock last month, New York Governor Andrew Cuomo (D) promises he will have cannabis legalization passed in the Empire State by June, writes Calvin Hughes. College student Grace DeNoya is used to people laughing when they learn what she is studying. Her degree centers on the marijuana plant -- an intoxicating drug that is illegal in many parts of the world. Cannabis legalization has been officially omitted from New York's 2020 state budget, a move that could mean the policy shift is now a little more difficult to execute, writes Calvin Hughes. Legalizing recreational marijuana in New York will not be done in concert with the state budget for 2020, an aide to Governor Cuomo said Wednesday. This comes after the Democratic governor said Tuesday that legislators in Albany are signaling that the legalization will be done separate from the budget. Since the budget is due by April 1, the agreement will not be in place in time to meet that deadline. The governor had originally said he was optimistic that marijuana would be made legal in this year's budget. The plan was to use the revenue from taxing marijuana to fund improvements to the MTA.